A nearly $2 million judgment against a Florida yacht brokerage has left brokers puzzled and concerned as they reconsider - in light of this case - how much protection the "as-is" clause in most sales contracts affords them. The brokerage and one of its brokers were ordered to pay a client $1.8 million for negligent misrepresentation after the 66-foot sportfisherman he bought through them turned out to have hull deficiencies so severe that one naval architect concluded if the yacht ran fast in big seas "the structural failure would be catastrophic and potentially result in loss of vessel and life." On May 4, a U.S. District Court judge in Miami ordered HMY Yacht Sales Inc. and broker Jim Barboni to pay, respectively, $1.7 million and $100,000 to Philadelphia developer Brian O&apos;Neill after a two-week jury trial. HMY, a brokerage with seven locations in Florida and one in South Carolina, filed for a retrial or, failing that, a much smaller award. 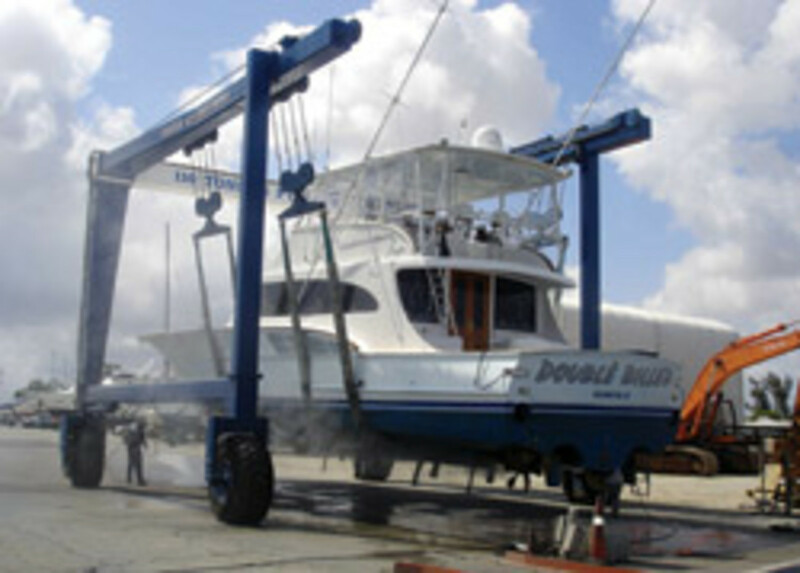 The decision has raised concerns among Florida brokers because, according to court filings, the linchpin of HMY&apos;s defense was that the yacht Double Billed was sold - as most brokerage boats are - under a contract with an "as-is" clause that includes no express or implied warranties and places the burden on the buyer to hire a surveyor to ascertain the boat&apos;s condition. O&apos;Neill had four surveyors on the boat at various times, and different ones took it out on three sea trials, two of them on the ocean, according to HMY&apos;s filings. But the lead surveyor, Thomas Price, who was supposed to examine the hull, did his sea trial on Lake Worth on the Intracoastal Waterway instead of on the ocean. This was at the behest of owner Richard C. Talbert Jr. because that day the seas were "too rough," especially since a second surveyor would be down in the engine room, according to O&apos;Neill&apos;s complaint. None of the surveyors found any of the hull problems described in the suit and revealed later during the yacht&apos;s delivery north and in subsequent surveys - flexing while under way, core delamination, inadequate core thicknesses and manufacturer deviations from the naval architect specifications, which compromised the stringers and bulkheads. The jury found that HMY misrepresented the yacht&apos;s seaworthiness to O&apos;Neill and did so negligently, though HMY argued that it never knew of the defects. The case has no "precedential value" - that is, it is not binding on other judges - until an appellate court rules on it, and the case almost certainly will be appealed, says Miami attorney Michael Moore. Though not involved in the case, Moore spoke about some of the issues it raises at a Florida Yacht Brokers Association seminar June 17 in Fort Lauderdale. Meanwhile, it does have "persuasive value." A judge should consider the decision but is not bound by it. O&apos;Neill closed April 19, 2007, on Double Billed. He paid $1.575 million plus the trade of a 1998 53-foot Ocean, Breymore V, valued at $700,000. Total price: $2.275 million. 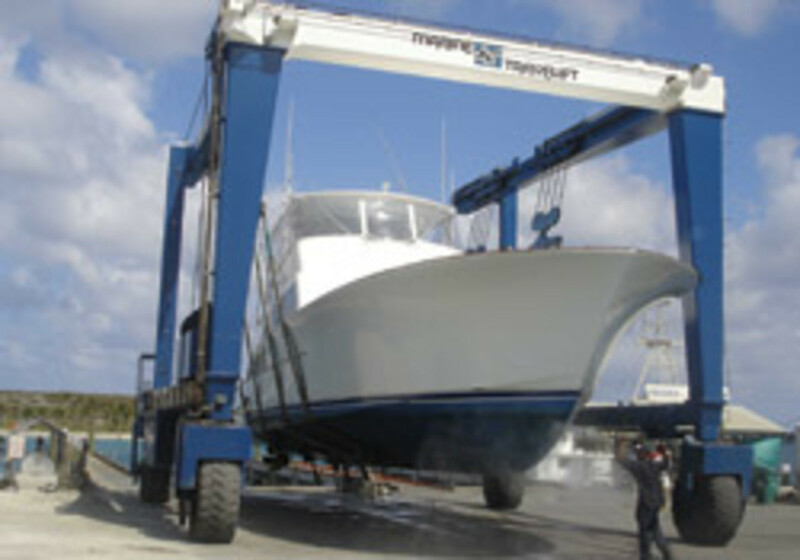 The boat went to Cracker Boy Boat Works in Riviera Beach, Fla., for repairs and upgrades. On June 29, Double Billed motored out of Lake Park Marina in North Palm Beach, bound for Rhode Island with a delivery crew aboard. En route, the crew noticed "a lot of movement" in the forward fuel tanks and "considerable flex" under some cabinetry and in a bulkhead. Concerned about the flex, surveyors in Rhode Island took core samples and found core delamination above the chine between the galley and the forward cabin on both sides of the hull, according to the suit. They also discovered cabin sole supports structurally compromised by holes cut in them to run hoses; the bottom of the hull flexing "alarmingly" - at least 2 inches - forward of the fuel tanks, port and starboard; a broken stringer and cracks on the inside of the hull; stress cracks on the outside of the hull; a stringer under the forward cabin cut and compromised to make room for a black-water tank; broken fuel tank mounts; and core thicknesses in the hull less than that specified by the naval architect, Donald Blount and Associates. O&apos;Neill&apos;s complaint quotes Matthew Smith, a Barrington, R.I., naval architect who sea-trialed the boat off Rhode Island in July 2007: "The yacht was not built to the designer&apos;s structural specification and as a result is unsafe and not structurally sound." Running 28 to 30 knots in 6- to 8-foot seas, the "structural failure would be catastrophic and potentially result in loss of vessel and life," he says. In testimony, another naval architect, David Pedrick, said the structural problems were such that "it was inevitable that this hull would crack, the boat would split, the boat would come to an end," O&apos;Neill&apos;s attorney, Lex Bono, told the jury. O&apos;Neill is a veteran boater who, according to the defense, owned 105-, 53- and 49-foot yachts before Double Billed. He is an angler who, according to Bono, bought the boat "to fish for sharks and tuna in the North Atlantic and take out family and friends." Taken offshore, the boat would be a "death trap," Bono says. The hull&apos;s condition once the boat reached Rhode Island is undisputed, but HMY said the structural damage could have resulted from hauling the boat at Cracker Boy with full water and fuel tanks and then running it in rough seas during the delivery, or making the delivery without completing some repairs recommended by the surveyor. HMY also argued it should not be held liable for misrepresentation because, per the "as-is" clause in the sales contract, O&apos;Neill hired his own surveyors to go over the boat. Price examined the hull using a phenolic hammer and moisture meter, and observed it during sea trials on Lake Worth, finding it to be basically sound "with no signs of weakness due to flexing or separation of their fastenings," according to his report to O&apos;Neill before the closing. HMY argued that O&apos;Neill relied on his surveyors&apos; expertise, and on the time he spent on the boat during sea trials and while fishing in a South Florida tournament to conclude that it was sound. HYM also argued that O&apos;Neill relied on conversations with the architect, the builder&apos;s former employees, former owners and captains to evaluate Double Billed&apos;s seaworthiness. O&apos;Neill countered that he relied on the surveyors just a "teeny bit." He said he didn&apos;t read the surveys very closely, but instead relied on the brokerage house and its reputation as a "Hinckley of the South," the descriptions of the yacht in the brokerage ads and the broker&apos;s assurances in making his decision to buy Double Billed. Did O&apos;Neill really rely on the representations of the broker? He said he did. The jury agreed. HMY&apos;s attorneys claimed the boat was in acceptable condition at the closing and performed well in sea trials. If there were hull problems at the time of the sale, neither the broker nor brokerage knew about them, they said. Yet the complaint against HMY maintains that it made claims about the boat that were untrue. "You can&apos;t use the &apos;as-is&apos; clause as a shield for fraudulent or negligent misrepresentation," Bono said in an interview with Soundings Trade Only. "This is not a new concept, but it seems to be a new concept in the yacht brokerage industry." O&apos;Neill, a wealthy developer who specializes in turning blighted properties into upscale communities, stumbled onto Double Billed while browsing online brokerage ads, one of which - under the HMY logo - described the boat in glowing terms. Under Salesman&apos;s Remarks, it touted the 2005 Carolina Custom Legacy as "awesome, like new, 250 hours on the engine, a solid fiberglass custom Carolina sportfish" with "all the attributes you would expect of a high-performance custom yacht - speed, sea-handling." O&apos;Neill said the ads drew him in, but Double Billed did not live up to its billing after he took it home. It wasn&apos;t like new. It wasn&apos;t awesome. It wasn&apos;t solid fiberglass. (The bottom was solid fiberglass, but the topsides were sandwich construction.) It wasn&apos;t a great sea-handler because it wasn&apos;t seaworthy. Bono said the conditional acceptance and sales agreement that O&apos;Neill signed were based on that listing, including the salesman&apos;s remarks. HMY argued the ad lingo was boilerplate "puffing" - opinion, not factual claims - and the yacht did, in fact, show like new. Previous owners and captains testified to its seaworthiness. Broker Barboni "repeatedly" represented Double Billed as "well put together," "made to fish," and "generally a good boat." After the Lake Worth sea trial and before the conditional acceptance, owner Talbert showed O&apos;Neill and Price two solid fiberglass samples. Bono said neither sample was taken from Double Billed. Each was, in fact, a generic sample, and neither showed the actual thickness of Double Billed&apos;s hull nor the fact that the topsides were cored. "Was the hull solid?" Bono asked in his closing arguments. "Absolutely not." The bottom was solid fiberglass, but the topsides were cored construction, a fact that HMY attorney A. Thomas Connick Jr. said serious anglers know is typical of sportfishing yachts. He said one of the core samples was labeled "bottom," the other "sea chest." "[Talbert] did not try to say the sides were solid," he said. "The bottom was solid." Price&apos;s survey noted that the topsides were "molded fiberglass with core." "O&apos;Neill knew that," Connick says. O&apos;Neill claimed parts of the boat were sealed off from inspection, which prevented the surveyors from finding the structural defects and seeing the flex in the hull. In Rhode Island, workers did find two hatches in the sole that had been carpeted over, but at trial HMY attorneys showed that the carpet had been installed by the original owner, not Talbert, and Price had been able to gain the access he needed through other hatches to inspect for flex during the sea trial. In his closing statement, Bono said the glowing ads did not reflect the yacht&apos;s history. The builder, Inlet Boat Works, of Murrells Inlet, S.C., had gone out of business before the sale, its owner "driven to suicide by financial stress," Bono says. Double Billed had been built to pay an investor, who sold it to Talbert in a land development deal. "Neither [of the previous owners] had any interest in this boat," Bono says. "They didn&apos;t use it for pleasure. It was built for speculation." In his summation, Connick said HMY shouldn&apos;t be held liable for hull problems it couldn&apos;t have known about. He says O&apos;Neill acknowledged in testimony that if there were manufacturing-related defects in the hull - Bono described them as a "ticking time bomb" - they "probably could not have been discovered without destructive testing." Surveyor Price testified that he had concluded "something had happened" to Double Billed between his preclosing survey and another one he did several months later to investigate the flexing. Connick characterized O&apos;Neill as a savvy businessman who bought a "no-name boat" built by a defunct company for a "low-ball price," and he bought the boat "as is" after a thorough survey. "His ego will not allow him to accept responsibility for a deal that he fairly entered into with Double Billed LLC," Connick told the jury. Bono argued the brokerage misled O&apos;Neill. He said the case is about "truth, trust and safety," and full disclosure. Before O&apos;Neill sued, he gave HMY a chance to work out a deal and give him the boat he thought he had bought, Bono says. "I think the message is plain and simple," Bono says. "No. 1, tell the truth, especially when safety and seaworthiness are at issue. Second, stand behind what you sell when you launch a vessel into the stream of commerce." The jury rejected O&apos;Neill&apos;s contention that HMY and Barboni had committed fraud or violated the Florida Deceptive and Unfair Trade Practices Act, but it found them liable for negligent misrepresentation. This article originally appeared in the August 2010 issue.